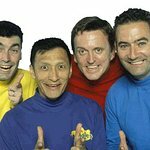 The Wiggles are a children’s musical band from Australia. Since 1995, The Wiggles have visited and performed for patients at the Sydney Children’s Hospital every Christmas morning. Google trends for "The Wiggles"
We don't have any videos related to The Wiggles.